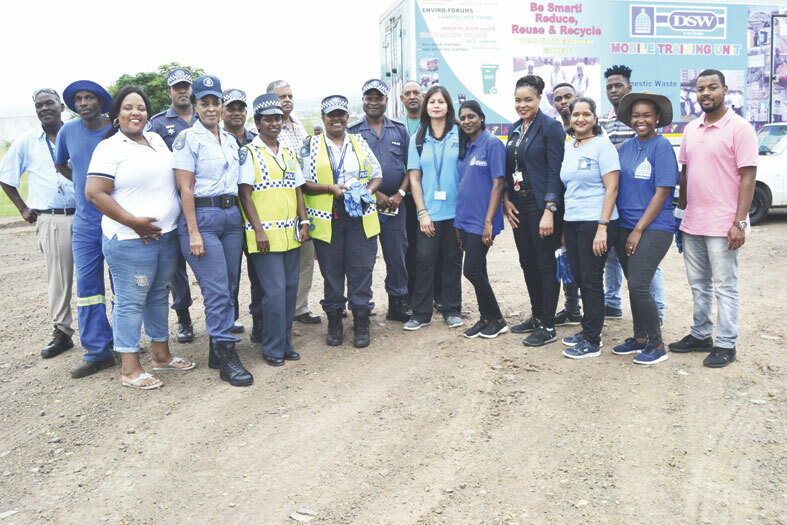 Despite the blazing heat, the Phoenix Enviro-Forum, comprising of various municipal units and Metro Police, embarked on a successful clean-up of the Phoenix CBD on Thursday, 14 March. The main focus of the clean-up was a large piece of vacant land near the Acropolis Mall, where vagrants had erected illegal structures, while businesses also used the land to dump debris and waste. 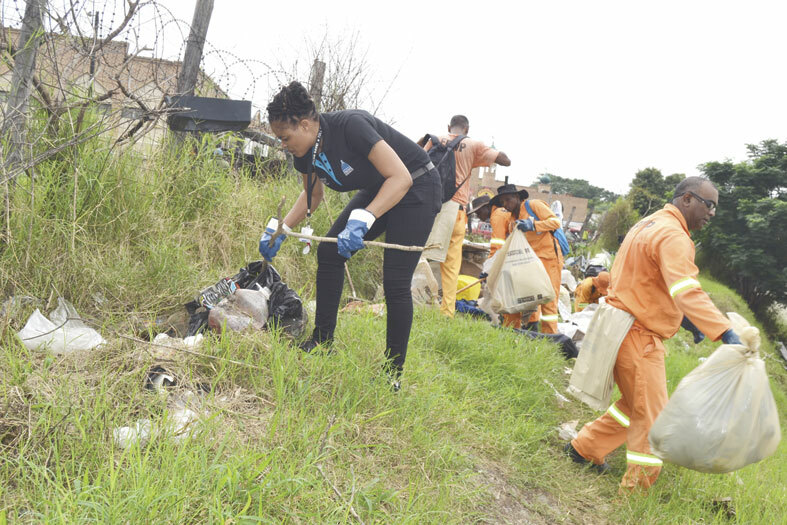 During the clean-up, the Parks Unit cut overgrown verges and assisted with the clean-up, five illegal structures were removed, three illegal hawkers without permits were charged by Metro Police, and the Health Department conducted education and awareness to 88 stalls, Durban Solid Waste provided information to 127 stalls and did loud hailing through the Unit’s education truck, 13 illegal vagrants were removed from council property, and six kilograms of food products were seized due to incorrect storage practices. Sharen Kistnasamy, chairperson of the Enviro-Forum said that illegal dumping had escalated and was portraying Phoenix in a negative light. “There are many threats posed by illegal dumping. It is a serious risk to health, provides a breeding ground for rodents, insects and mosquitoes, has a negative impact on plants and wildlife and property value decreases significantly,” said Kistnasamy. Ward Councillor Tino Pillay welcomed the combined team effort from various departments. “Various service delivery entities came together to create awareness and enforce the law. There were many activities on the day aimed at curbing illegal activities and cleaning up the streets of Phoenix, some of which included the spraying of storm water and waste water manholes by vector control, seizure of food due to non-compliance of health and safety by laws as well as improper food storage amongst other activities. Pillay said this serves as an appeal to all traders to please exercise neatness and comply with all the trade by laws. “Illegal dumpers you have been warned, people are watching and recording you. If we have sufficient proof against any individual, you will be prosecuted. Now is the time for action against defaulters.” To report illegal dumping, call 031 539 1229 or 031 502 2838.